If you are the victim of a new iPhone being stolen from you, then as soon as you notice this, you need to act immediately. You need to visit the iCloud website and block the stolen iPhone. Using the Apple ID that you have available, you need to pass authorization on the site iCloud.com. Your next step is to navigate to the "Find iPhone" branch. Clicking on the drop-down menu, the choice is made iPhone or iPad (it depends on what was stolen from you). On the resulting map of the area, the location of the switched on device should be displayed with a green dot. This means that you are lucky - the iPhone is on and has an online registration. If the point is red, then it is already offline for at least 24 hours. After that, a window such as Lost Mode appears, and you need to enter a password in it. If the password was not previously set, the system automatically installs it on the device.. When a stolen gadget has important or just personal information, it is possible to remove it from it. For this there is a special menu. But there is no need to rush him, because immediately after deleting the information, the device cannot be traced on the map. There is at your discretion. Before the first time to leave the street with an iPhone, you need to properly configure everything. You need to start by activating an option such as “Find an iPhone” located along the path: Settings - iOS - iCloud. There is also such a menu item as “Last Position”. It is necessary to make sure that he was active. Due to the activation of this item, you can track the geolocation of the device in the off state. Must not forget Apple password ID and do not store it near the phone. If suddenly you forgot it, you should immediately visit the Apple site, answer the questions posed and change this password.. It's wonderful if you have the opportunity to take advantage of the possibilities to block using Touch ID. This will remove the lock using fingerprinting, which means using a fingerprint. Password activation can be done simply: Settings, Password, Password protection, switch to Enable password mode. It is possible to activate the process of deleting information through 10 incorrect password entries. The loss mode can be enabled in a web or iOS application, it is available only for devices that are directly running iOS 5.0 and higher. But for older iPhone firmware this function is not available. From any computer or tablet, or even a smartphone in a web browser, go to icloud.com and go to the Find iPhone application, log in with the Apple ID specified in the Settings -> iCloud -> Account settings. Then in the My devices menu (located in the upper part in the center) select the model of the device. In the window with information about the device, you must click on the "Lost Mode". Then you must enter the 4-digit password for blocking twice..
After that, you enter the phone number to which it is possible to call to return the phone and click "Next." The number will be displayed on the screen of the device, blocked by a password. If you have lost or stolen an iPhone from which you can make calls, you can call the phone number you specified from its locked screen. when you connect your iPhone to iTunes, a warning will appear that the device has started the loss mode and actions with it have been blocked. If at the moment of activation of the loss mode, the iPhone is not connected to the Internet, then iCloud will display a request to activate this mode. When you connect your iPhone to the Internet, the request will be immediately executed. The loss mode is activated not only via iCloud, it can also be done from another device, the only requirement is that you have to have an internet connection. 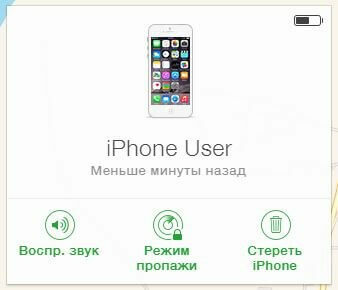 In order to block a stolen device you need: on the iPhone, iPod Touch or iPad, you need to launch the “Find iPhone” application and log in with your Apple ID, password. You need to select the device you want to block and click on “Actions”. Then click on the "Lost Mode" and turn it on. Enter the password, phone number, message text and click on "Done". 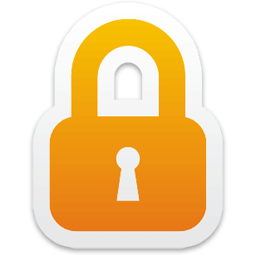 In the "All devices" menu, an image of the lock appears. 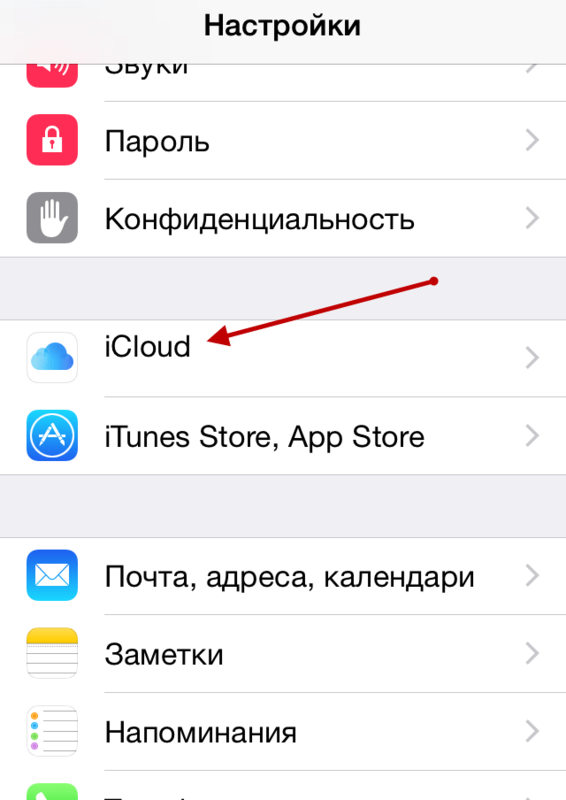 The consequences for the device will be the same as at the moment of activating the mode from iCloud. from the menu Find iPhone in iOS. The easiest and fastest way to disable the mode is to disconnect from a locked device. It is only necessary to correctly enter the lock password. After that, the device is unlocked and the loss mode is deactivated. To disable the mode of loss through iCloud, you need to do almost all actions identical to the process of enabling this mode. In the “My devices” menu, the device on which the loss mode is activated and clicked on the “Loss mode” is selected. Next you need to click on "Exit Lost Mode", confirm the request. As a result, the lost mode will be disabled, and the message and phone number will disappear from the locked screen, but the password will not be reset, you must enter the password to unlock the device. After that, the password will be set as the device lock code. Disabling the mode of loss is possible from the Find iPhone application on another iOS gadget. Moreover, the procedure is similar. Loss mode - a “trick” is wonderful, it can only become an obstacle for both intruders and legal owners. It turns out that it is impossible to remotely change the lock password, i.e. if in the device settings a lock password was specified and accidentally forgotten, then disabling the emergency mode is possible, but it becomes impossible to get further than the lock screen. In this situation, the restoration of the iPhone from the Recovery Mode or the DFU mode comes to the rescue.. It is possible to enter iPhone into any of these modes from any state, iTunes can recognize the device in recovery mode and offer to restore it. After the recovery process, configure your iPhone as new. But this is if you are the rightful owner and you have an Apple ID account from which the loss mode was turned on.